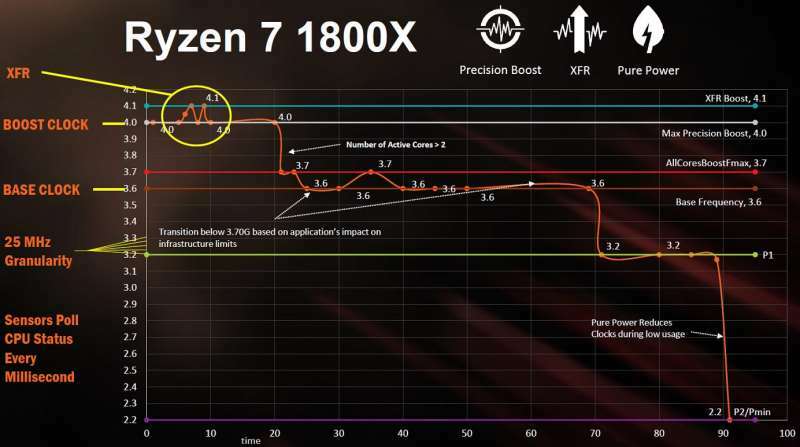 In AMD CPUs XFR, or eXtended Frequency Range, is an automated overclocking feature in AMD’s Zen CPU architecture first introduced on AMD’s Ryzen CPUs. 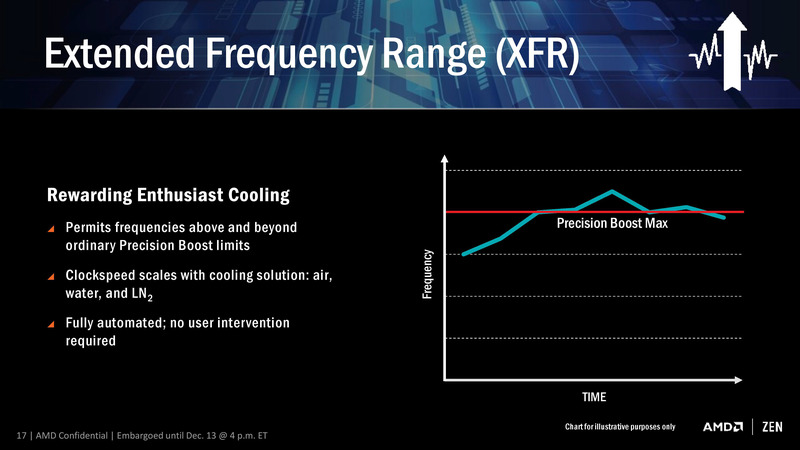 For CPUs that have XFR enabled, XFR will boost clock frequencies above the advertised turbo frequency based on the capabilities of the CPU cooler. As of now, every AMD Ryzen 7 and Ryzen 5 CPU has access to this feature however, with varying degrees of how much of an additional overclock the CPU is capable of. In the AMD’s Ryzen 7 1800X and Ryzen 7 1700X, XFR increases the processor’s frequency by an additional 100MHz above the boost clock with XFR. For example, the Ryzen 7 1800X features a base clock of 3.4GHz, a boost clock of 4.0GHz, and with a capable cooling solution, will overclock to 4.1GHz with XFR. For the AMD Ryzen 2000 series, AMD has updated XFR to version 2.0. Unlike the first generation XFR implementation, XFR 2.0 does not have a set upper limit so long as thermals are within the specified range.